Piecework enthusiasts rejoice! Now great Celtic designs can be created with only two simple blocks. Quilters traditionally use appliqué to create Celtic designs. Instead, Karen has translated knot work into pieced patterns. She found she can create many Celtic designs with two, three, or more blocks, so the possibilities are unlimited. 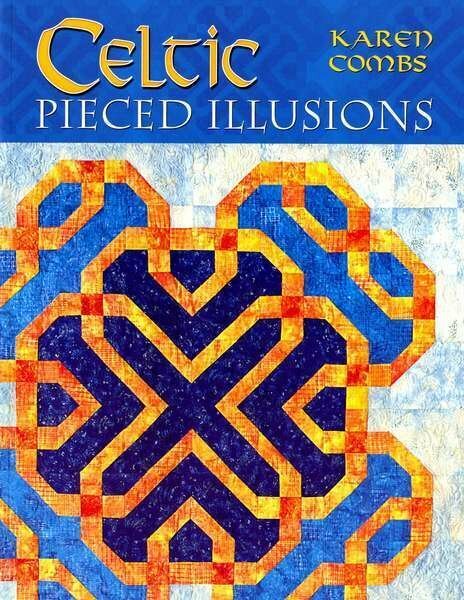 Famous for her use of color and color illusion, the author shows how to use color, texture, and value to add excitement to Celtic quilts. She shares her simple design concepts for those who want to design their own Celtic quilts, while providing piecing tips, pressing options, and quilting ideas. Even beginning quiltmakers can tackle these colorful quilt patterns. Teaching tips and lesson plans are included for quilt teachers and shop owners.